I had a lovely surprise a couple of weeks ago, when I checked my emails during a break while taking pictures of some new jewellery. It was an email from Frances from the company JewelleryMaker. JewelleryMaker is a family owned company that specialises in jewellery making supplies, especially gemstones from all around the world. Frances had seen my blog and my wire wrapped rings on my website and she wanted to know whether I'd like to write a blog post and share my top 5 gemstones. I've never done a top 5 of anything on my blog, so I was happy to do so. Gemstones beads fascinate me, because each type of gemstone is unique, with their own qualities, colourings, properties and meanings. This is a stunning gemstone, it was first discovered in 1770 in Labrador in Canada. It's usually a dark grey colour, with flecks of green and black, that show iridescent flashes of blue, blue-green and silver. I like this gemstone a lot, to me it looks expensive and luxurious. 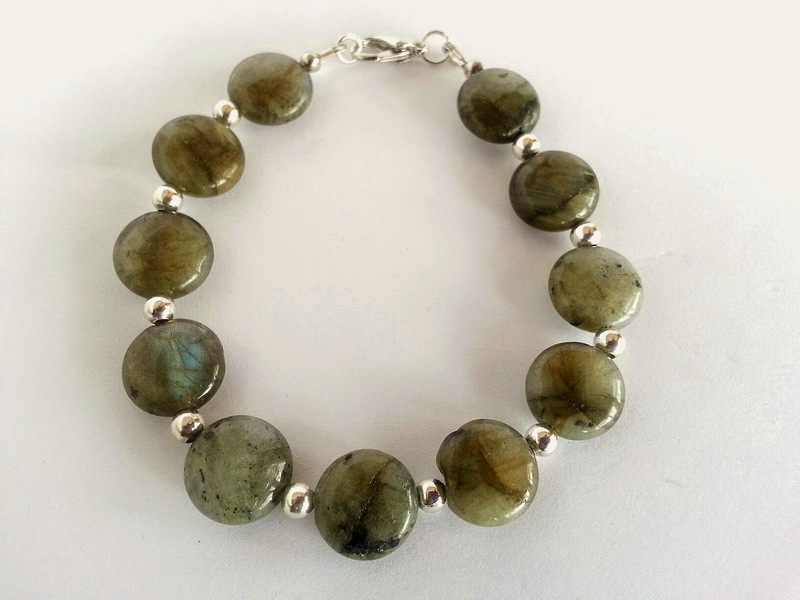 I did buy some coin Labradorite beads and made a pair of earrings and a bracelet out of them. I like pink. Rose Quartz is pale pink in colour and can range from very light to medium pink, in colour. Sometimes they can almost be transparent, but his is very rare. 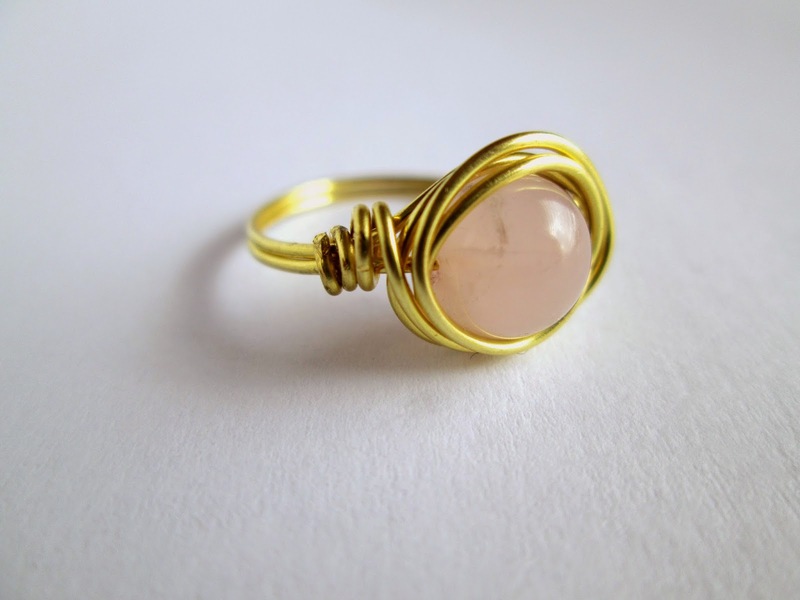 I've made a wire wrap ring with a Rose Quartz bead and brass wire. 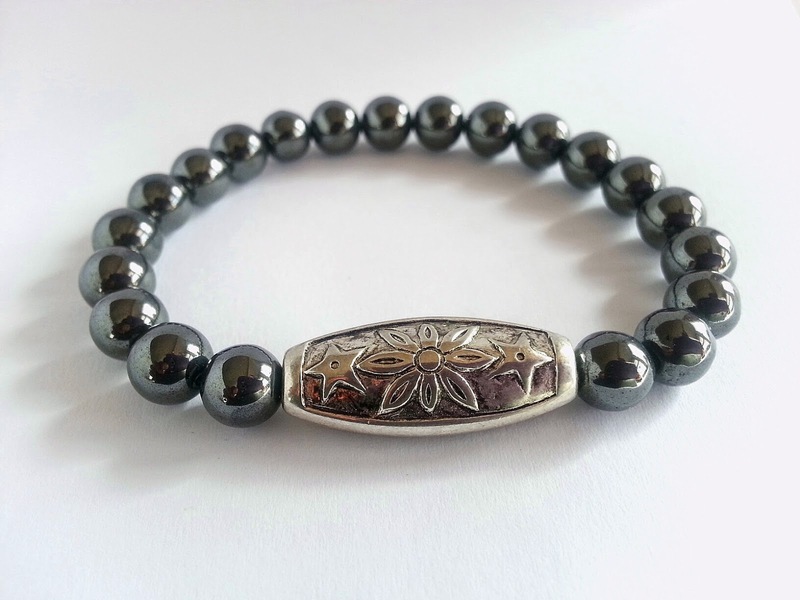 The word Haematite comes from the Greek word meaning blood. It's colour can range from steel grey to almost black. I like this bead, because it always looks super glossy, sleek and elegant. I think it also looks slightly masculine, so that's why I chose to use Haematite beads to make one of my gent's bracelets. 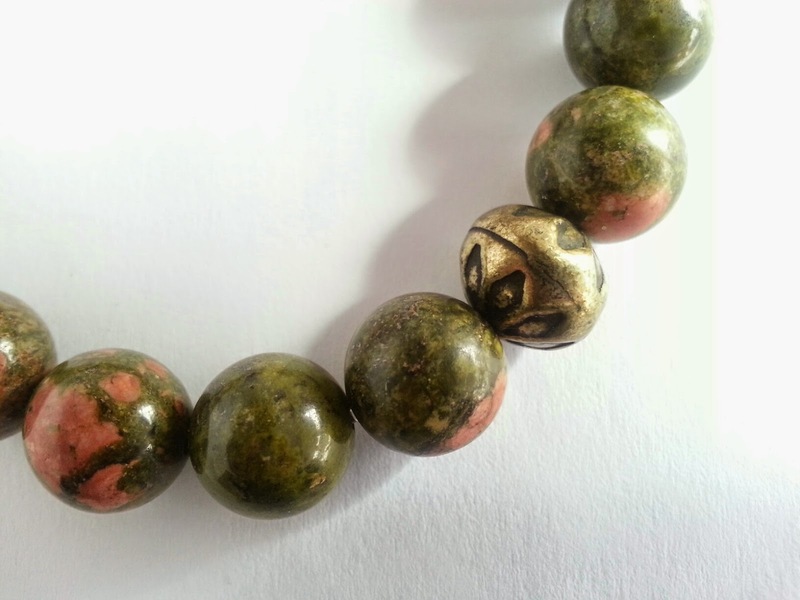 Before I bought these Unakite beads, I wanted to know where Unakite came from and I found out that it was first discovered in the United States, in the Unakas mountains of North Carolina. It's a form of granite and it comes in various shades of salmon pink and green, all mottled and blending into each other. Unakite is a hard material, so it is resistant to abrasions, so I used some Unakite beads to make another one of my gent's bracelets. I think I like this gemstone because the two colours seem to clash with each other, but side by side, they work so well together. That's it for my top five gemstones, let me know what are your favourite gemstones are and what is it about them, that you like when working with them. 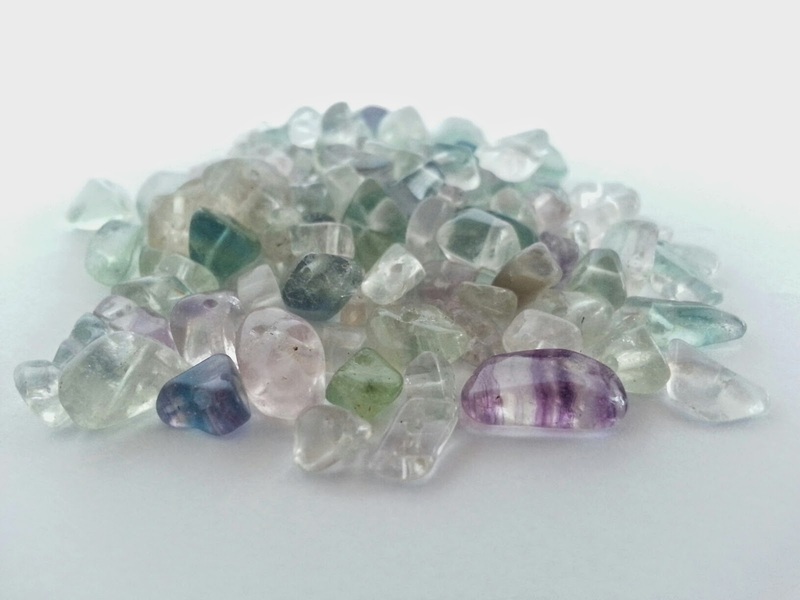 Hi Michelle, Great Job... and Thanx for sharing your views about Top most Gemstone beads..they are really valuable!! Thanks for taking the time to read my blog post, glad it was useful.